Plusnet has quietly ended the fibre extra from 40/20 revert backward to 40/2 as from today. (Click the "Show package details" links). A rep has said on the forum that anyone currently on 40/20 or who signed up for it recently will be left with the 40/20 as long as you keep paying / don't change your package or move house (As long as it does not have to be provisioned again). Can't believe they've stooped as low as 40/2 without any option for a 40/10 product and the 80/20 product has gone up in price, unless that's without the £2.50 discount for taking the phone with them. This is a backwards step in my view. I simply cannot believe why more ISPs are not providing 40/10 at least if not 40/20. It was always my gripe with TT that it was 40/2 which in my view is plain stupid. I'd be happy with 40/10 at least preferably 40/20 but 40/2 makes simply no sense whatsoever. To my mind the ONLY reson to do this is to force anyone who wants reasonable upload speeds to buy higher than warranted download speeds. It is a rip off. It's always UK rip off, more rip off! Getting fed up with it. IMHO it is a step backward. I can fully understand reversal of the '40/20' which IMHO was not the best move for a 'budget' isp. A large portion of lines are unable to get more than 40Mbps and comparatively very few seldom use 20Mbps, or probably wont even be able to sync at that speed, so they were paying for something that a substantial portion of their userbase would be unable to use. I doubt it would bring in that many new users, so its just throwing away £36.72 pa multiplied by 10/100's of thousands of customers. Ive no idea how many customers were on 40/20 but even at just 20k its got to be at least £0.5million wasted pa. I'm not sure its a rip off. Its a valid product and we in the UK have DSL pricing much cheaper than in other countries. Go look at the prices in the US and you'll cringe. I do however think what theyve done is a step backwards and could even be a bit sneaky because I can imagine quite a few people wont realise they are now selling 40/2 even though it is on the website. Just a thought, Kitz, if one just compares prices without, also, reference to wage and price levels in both countries, is comparison fair? I dunno.. certain things are usually cheaper over there than in the UK. Housing, cars, electronics etc. Many years ago we seriously considered moving over there and we costed up things in quite depth. Salary was slightly more but not that much in it. Our standard of living would have been better purely based on the lower cost of housing/car/fuel and this was in a prime gulf coast location. I wasn't 'into' DSL back then so no idea on the telephony side. 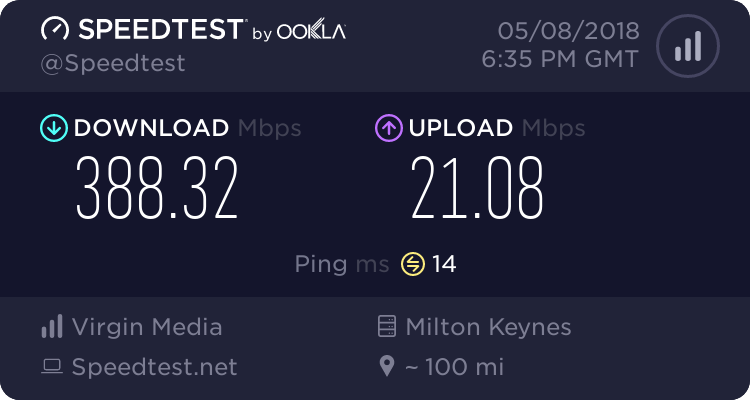 Grrr really frustrating as my previously EO line has just been upgraded to a cab just after Plusnet changed their 38 Meg fibre to 40/2 only with no 40/10 offering. Very annoying as my line check suggests 40Meg max download so they'll only offer me the 38/2 service even if I offer to pay more. Might have to try and find another ISP as its only £35 quid to end my contract early! Am I right in saying BT and EE both offer the 40/10 profile? Any other cheap provider? kitz when you add up all the 2015 changes from plusnet it makes sense, currently I am considering moving to sky LLU. e.g. moving staff from the night shift is also penny pinching and the network performance drops in 2015 which still havent been fixed. Post 15 in the PN Communnity might interest. I know it's gone quiet on this one but I still found it frustrating - even more so as I've now moved to Origin on 40/10 profile - which is actually just a resold Plusnet service! !